The Majority of people are well aware of the immediate effects of a conviction for driving under the influence of alcohol. A DUI could result in a suspended driver’s license, fines, drug or alcohol classes, the installation of a monitoring unit, probation or even jail time. And if this isn’t bad enough, most people fail to consider the long-term effects of a DUI. 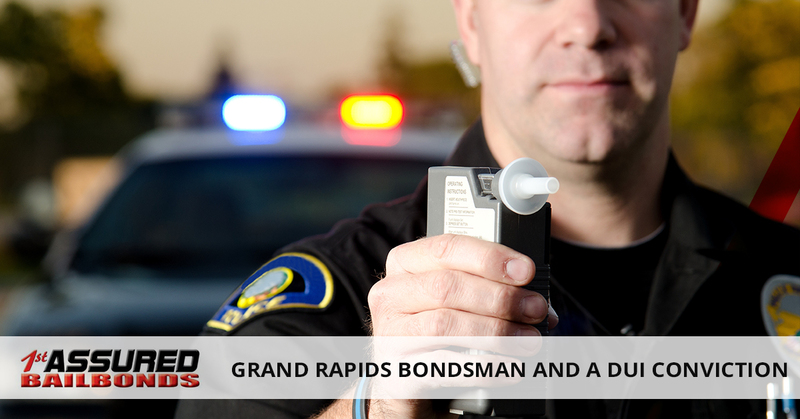 If you are ever arrested for driving under the influence of alcohol, calling your Grand Rapids bondsman is the first step in a process that could last years. Often, a DUI conviction results in the loss of your driver’s license and proof of insurance that satisfies the state’s minimum coverage is needed before you can get in reinstated. Basically, you have to maintain a particular type of insurance after a DUI, which, of course, is more expensive. As a result of your conviction for driving under the influence of alcohol, you may be classified as a high-risk driver, which means your insurance company is likely to jack up your rates or cancel your policy altogether. In many cases, those who are convicted of a DUI pay as much as three times more for the same coverage. If your job happens to involve driving, you might find yourself standing in the unemployment line. Even if you don’t drive on the job, if you lose your license, you might have a difficult time getting to and from work every day. It is never fun when you have to rely on others to earn a paycheck. A DUI may also affect future employment. Even a first-time DUI conviction is enough to have an impact on whether or not an employer chooses you out of the many who have applied for the same position. You are immediately at a disadvantage over someone with a clean record. In case you haven’t heard, employers are increasingly conducting background checks before hiring new employees, so a DUI can play a factor in who hires or doesn’t hire you in the future. Suffering a DUI conviction also means you have to deal with family and friends, and this is not always a pleasant situation. To be sure, your family and friends have your back and support you in any way they can, but this doesn’t mean there won’t be anger or resentment for your actions. In fact, some family members and friends may lose trust in you and some may suggest you have a problem that needs to be resolved. It is also very difficult to have to explain to children or others who look up to you what you need and the consequences. Hopefully, you can get through this unscathed and maybe even use it as a learning experience for others. A DUI conviction isn’t something that can be swept under the rug shortly after a conviction. That is, you are not likely to do your time, pay your fine and get on with your life without at least some difficulties.